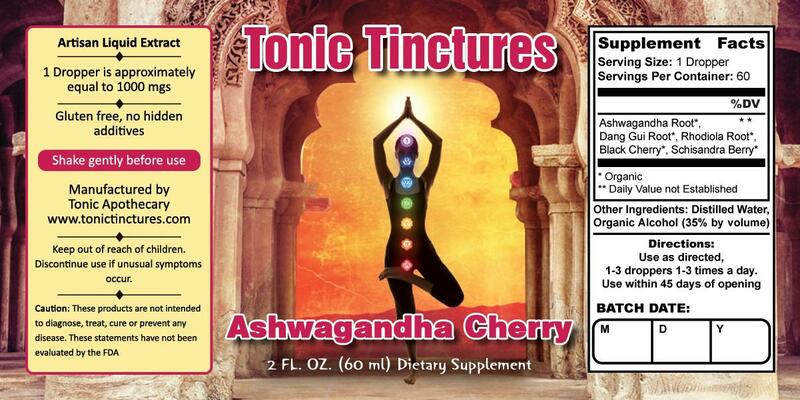 Ashwagandha Cherry Tincture is 1000mgs extract per 1ml dropper. I didn't quite know what to expect, but I do feel more flexible and less anxious. Totally bought this for me and my girlfriend. We loved the cherry flavor and could take it straight under the tongue to feel grounded energy from the Ashwagandha during our sessions. Great for intimacy too, it helped us feel more connected.